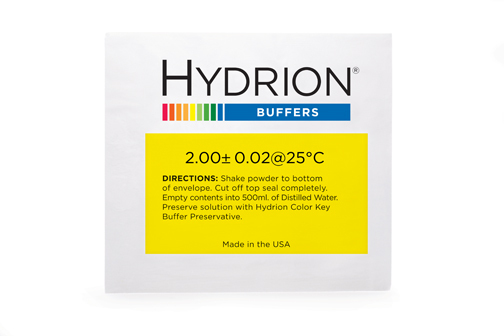 2.00 Hydrion Buffer Chemvelopes produce 500ml of 2.00 pH Buffer Standard solution when dissolved in distilled water. Chemvelopes are made of a triple protective foil consisting of aluminum, polyethylene and paper which keeps the Hydrion Buffers dry and free-flowing. 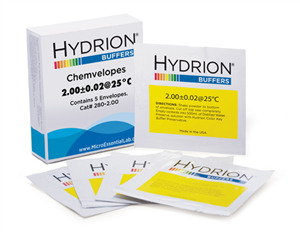 Each carton contains five Chemvelopes. Empty the contents of a pre-weighed Buffer Salt foil package into 500 ml. of de-ionized or distilled water.